From 28th July to 30th July you can watch three unique HARDtalk programmes here on the website, on BBC World News or on the BBC's News Channel. 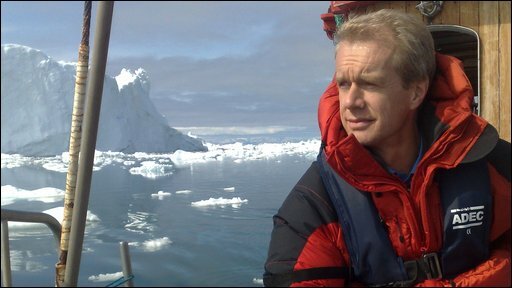 In the second part of the series Stephen Sackur takes HARDtalk's hard-hitting interview format on the road to Greenland to uncover how climate change is affecting the country. At the mouth of the ice fjord sits the town of Ilulissat. Traditionally home to hunters and fisherman this place, with its extraordinary shrinking glacier has become a potent symbol of global warming. It was here that the Danish Environment minister convened a meeting of her international counterparts - the idea: to persuade them of the urgency of reaching a deal on climate this December in Copenhagen. 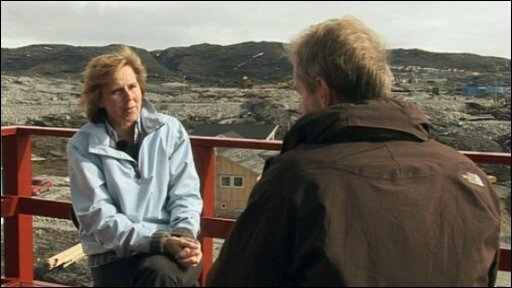 Stephen Sackur asks Connie Hedegaard about the deal she is attempting to broker ahead of the United Nations Climate Change Conference in Copenhagen, December 2009. As the ice melts so the pressure on the world's politicians rises. Do they have the political will to overcome their longstanding differences?